The premise is simple – sharing our blessings one book at a time. We are giving away a free book to any mom who is pregnant and received a prenatal diagnosis of Down syndrome or has recently given birth to a baby with Down syndrome. When Charlie was one month old, a family friend gave me the book Gifts, Mothers Reflect on How Children With Down Syndrome Enrich Their Lives, edited by Kathryn Lynard Soper. One afternoon when the boys were taking their naps, I curled up on my bed and opened the book. I couldn’t read the stories fast enough. I finished the book and started again. A few months later I ordered my copy of the newly released Road Map To Holland, How I Found My Way Through My Son’s First Two Years With Down Syndrome, by Jennifer Graf Groneberg. The pages flew by. Again, upon reaching the end, I turned back to the beginning. Both books were written by mothers. Mothers who have walked the path before me. Mothers who understood what I was experiencing. Today I have the gift of perspective. And I want to share that gift. These books are meant to be shared. Given to a mother who receives a prenatal diagnosis and worries about what the future holds for her unborn baby. Shared with a family that just welcomed their new baby and received an unexpected diagnosis. A bit of hope in a sea of often outdated, biased and negative information. This blog is simply the vehicle. It’s my hope that those who have received a diagnosis and turn to “google” for information may stumble across our blog. Or perhaps you already read this blog and know of someone who is pregnant with a prenatal diagnosis or just gave birth. The details of how you get here aren’t important, the end result of sharing a book is. How does “Sharing Our Blessings” work? Who can get a free book? Any mom who has either received a prenatal diagnosis confirming that your baby has Down syndrome or you just gave birth to a baby with Down syndrome. I would consider it an honor to share either Gifts or Road Map with you. My hope is that we can reach out to individual families that have not received support locally, or don’t have access to an existing parent support group. If you have the means to purchase a book yourself, it would be much appreciated (just consider this a very biased book review, strongly suggesting that these are the first two books you go out and purchase…) that way we can be sure to reach those that may not have the current resources for a new book. While I would love to supply all hospitals and doctor’s offices across the country with copies of each book, my checkbook can’t, so again, individual families only – no organizations please. And I will also have to limit requests to those families that live within the United States. Unfortunately international shipping costs far exceed the cost of the actual books. How long will we be “Sharing” through the Blessings and Glory blog? Right now I’m not certain about a time line, or how many books we give away. But for now, my goal is to give away all the books I’ve ordered. And when they are gone I will order more. It’s pretty clear to me that this process isn’t about me, but instead it is about me being faithful. Handing it all over to Him. Giving thanks and sharing our blessings one book at a time. And that is enough for today. Hello…my name is Darlena and I have 3 children…our youngest is 7 months old and has Down Syndrome, his name is Brayden…he is an amazing little baby and we are so blessed to have him…I have enjoyed reading your blog…I have been blogging with a couple other blogs on your blog roll and have enjoyed getting to know other down syndrome families…I would love to add your blog to the blogs I read daily or at least I try to…let me know if that is ok…thanks. Thank you for sharing the word about GIFTS, and being there for all parents with children who have Ds, whether prenatally diagnosed or a new baby. Our son Nash’s story is in Chapter 8, and we are so thrilled GIFTS is helping all families see the real lives of our children. Thanks for sharing your story w/ others. Awareness is everything! We have a great little guy named Andrew who has changed our lives in so many ways. I can’t imagine one day without his smile and his corky ways…such a blessing! I’m looking froward to ready more! The books you are giving away made a huge impact on me during the first few days and months of my daughter’s life. Both were given to me by different friends and I bought a bunch to share with the hospital where my daughter was born. What you are doing is so thoughtful and I pray that God blesses your ministry. Libby, you are so generous and thoughtful to do that. I’ve read both books in my early months of being a mom to a baby w/ Ds. I clung to the words in both books, letting their words affirm my feelings that were still bottled up inside. They are by far the best books I could recommend to new or expectant parents of a child w/ Ds. Thank you for doing this! PS: Your boys are very handsome! What a great idea. I know reading about DS helped me a great deal. I have two children. My oldest is a girl who has DS and soon will be 4 years old. (I found out she had DS after she was born. Waiting for the results of those chromosomal studies seemed to take forever!) My youngest is a “typical” boy who will be 3 at the end of August. Finding out that my daughter had DS was so upsetting initially. Honestly it has been so much different than what I had originally imagined it would be like. She is our absolute joy. It is difficult to describe. I look forward to reading you blog. You have a lovely little family. Congratulations on the new boy on the way! Libby, this is a wonderful idea, I loved both of those books, and highly recommend them. I’d love to help you spread the word at Cause of Our Joy. Could you please send me a button? Me and my wife started a parent support group for kids with disabilities called Upside2downs. My wife and I have an 18 month old daughter with Down Syndrome. We were wandering if you could contribute a few of your books to help encourage new and expecting mothers. Please consider. Hi, I as well am a parent ot a blessing from heaven-Sam who turned 3yrs old in May. I would love to put your widget on my blog as well – could you let me know how, please? Thank you for your ministry to families. I too, have a daughter with Down syndrome who underwent AV canal heart surgery at 4 months. She is the light of our lives, an active and energetic family member, and part of a full-inclusion first grade class. 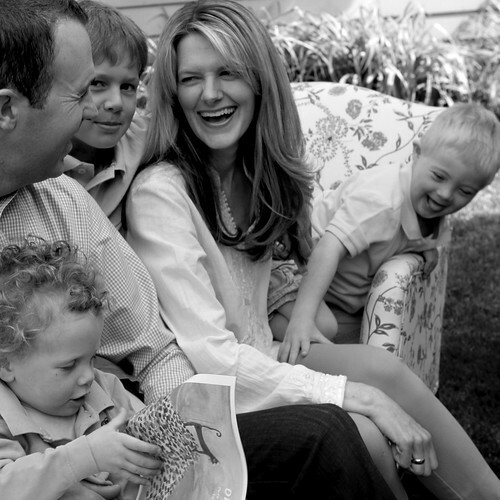 All we do to help other families just finding out about Down syndrome prenatally, or in the hospital, is so important. Our journey becomes an example of love for others, as a family, and as members of a greater community. Thank you, thank you, thank you. The book, but perhaps even more so the gesture of its delivery, was like an old friend reaching out to hold my hand in a most overwhelming time. I have been so inspired. I am looking forward to the journey that lies ahead of my family and me. Blessings to YOU!! My little girl is 3 months old. I don’t need the books (I have them and many others to read when I have the time), but just wanted to say that I think this is such a wonderful way to reach out to others! Hello, This is a wonderful idea. For years I have been trying to find a way to give back and help others who have have been given the privilege to raise angels, I know what I want to do but money is an issue. This is such a great way to help others God Bless!!! I was wondering if I could get a copy of your book. My daughter is 3 now, but when I spoke to you in 2008, I didn’t have a computer. It would be a nice thing to read now, after the shock of the diagnosis is finally starting to wear off. I am recently the proud Mother of a little boy named Jacob, all babies are special, we didnt know how amazingly special he was till 2 weeks old when he got very sick with Jaundice from not feeding correctly, it was then the Doctor told me that she suspected he had DS, ordering tests that day, we returned to the hospital that night to help him become well. After 2 days the hospital Doctor who had liased with our GP bought me the news of a positive Chromosomal Result, It was the tears she tried to hide before speaking that gave it away. I think deep inside I always new this child would be different, while i was pregnant. My husband and I chose not to have the tests done to see if our child had DS. But at 12 weeks my father and I spoke about the test, he asked me “did I feel that i needed to have the test”? I told him “I feel that I shouldnt have it done, so I wont”. Two days later i began to bleed, and the following day I lost a huge amount of animotic fluid, we accepted that we may lose our child, it was God’s will if thats what was happening. But the bleeding came and went and at 15 weeks I dreamt of my Father-in-law who had passed recently, he had with him a little boy, and he spoke to me and said “15 weeks, this time we stay” the next morning my bleeding stopped, and our pregnancy continued. I delivered our son 3 weeks early at 37 weeks exactly. All the Midwives and the Doctors saw tell tale signs but said nothing, Jacob looks so much like my Husband, he was missing many of the common signs: the crease in the hands, the toes being different, no murmur. So I was no the wiser. Interestingly I had trouble bonding with my son in the beginning before we knew he had DS, but when the diagnosis was given to me, I picked him up and held him protectively and Thanked God and Jacob for choosing me to be his mother, from that day forward I have researched DS so I can understand the best way to help Jacob be all he can be, recently we learned he has a hole in his heart, and are awaiting surgery. Jacob has taught me everyday is a gift, I find myself watching him for periods of time just gazing at him and he at me. His first smile came only a week ago, and it was for me. I think he will be my strength in life, my courage. Jacob fought to be born when he could have chosen to return to heaven during my pregnancy, it is my turn to fight for him, may our journey through life together be a long one. May Gods hand help me up the hills of this journey and help me up when I fall. I am honoured to be the Mother of a Child with DS, so many look at me and u can see the pity, but unless you have a child like ourswith DS they can never know we are the ones that are truely blessed. Oh I forgot, I ordered the books you have listed 3 days ago from a book store online those and 2 others are on their way from the USA. I ordered “awaiting adam” and “babies with Down syndrome”. And the library has ordered a book for me about a set of twins one with Ds and one without, the one with DS was given up for adoption and raised by another, so ill let u know what its like. Hello Libby, I have a little boy, Gabriel, with Down Syndrome. He’s 15 months old.I have my own blog (no matter how primitive it is compared) about his life and our struggles. We struggle ALOT. Gabriel has the majority of the medical problems that comes with DS. His list includes congenital hypothyroidism, congenital heart disease (vsd/pfo), ptosis and minor visual problems that don’t affect him right now, a tentative diagnosis of aai (atlantoaxial instability) due to a neurological/visual/orthotic problem called spasmus nutans, gastroesophageal reflux. We have already undergone one chest surgery to remove a mass from behind his heart that turned out to be an enlarged lymph node so now the oncologist says we must watch intently for signs of leukemia. We are also about to undergo open heart surgery to repair his vsd and hopefully pfo in a matter of just over a week. In addition he is being evaluated for epileptic syndrome. But, to offset this, is the fact that his is the most beautiful boy in the world to me. He is just so different, so amazing. He is fighting through this and he’s actually trying to walk on his own now. We have the braces, the special orthotic shoes, and a gorgeous red walker. He pulls hard right so we are wondering if that might be a symptom of the aai. His little head tilts left so it just may be. I haven’t cried so much in my life. I haven’t loved so much in my life. And I haven’t been more determined in my life…to be the best mom I can be. To fight my fight for him. I research. I talk. I observe him. I listen. (Oh we are doing a few signs now…he’s understanding). I never let doctors tell me what he can or can’t do. I have pushed him since birth to improve. I was in a similar situation, prenatally, where I was given the AFP test. They said “possible Down Syndrome”. Then the multiple trips to the perinatologist and he said. No, no evidence. No markers. Nothing. Only the risk of my age (40). At his birth, he wasn’t breathing. He sat in the birth canal too long. He did start soon after. But he was so purple. Then later he stopped again and turned blue. So was shipped to NICU. What I write here on my blog is a combination of letters to him, and general information. I’m sure I will rewrite as I just started. I don’t have really any pics up. I don’t get this site yet! Working on it. Anyway, I know is long, but I just research online and have read some in books while in the hospitals during our stays. So, I’m pretty up on DS but I get surprised everytime something new surfaces. And, appropriate or not, I just keep asking God for one system to be left alone. But perhaps that’s not in the plan. What I really want to say is thanks for writing your blog. I’m searching out people who are dealing with the same general situation I am. I keep strong, I do, but it’s always good to know you aren’t alone. I, too, struggle with it being so public but how else is anyone going to know these kids matter and they are truly a blessing from God. Gabriel and I are both walking a different walk now, singing a different song. One to last through the ages. You are a terrific reminder that there is hope and faith out there. Keep up the good work Libby. Libby, I am the grandmother of one of the most precious gifts God could have given. Daniel was born with DS. My daughter and her husband are missionaries in Honduras. She had some test while she was in Honduras and they indicated that the baby could have DS but later they said that everything was fine and now there are no signs. My daughter came to the states early to be in the wedding of her sister. Daniel still wasn’t due for six more weeks, but Daniel was ready now and so he came. I was the first to hold him, since Daddy still had not arrived from Honduras and Mommy was still being worked on by the surgeons. He looked just like his older brother, but the more that I gazed into his beautiful face I began to see the little slanted eyes. My daughter did not know anything until the next day. Emotions ran high for the next few days while they did the test. Daddy finally made it while Mommy was still in the hospital. The day Daniel was to go home his temp wouldn’t stay up and his glucose had dropped too low, so they kept them a couple of more days. We thank the Lord that Daniel has been a healthy little boy since going back to Honduras to be a little missionary himself. He is six months old and I try and talk to him on skype at least once a week. He is growing, and getting stronger all the time. He is saying “bababa” and spitting out the food he doesn’t like while at the same time spraying Mommy. We are learning new things everyday and Daniel is our teacher. What a joy and privilege to know that God has given us a very special little boy. You know Libby I have heard parents of children with DS say how blessed they were and in my small finite mind I never could understand how they could say that, but now I know . WE truly are blessed. Wouldn’t change one thing, Looking forward to days ahead to see what all Daniel will teach us about ourselves. Thank you for this wonderful blog. I am sending your link to my daughter in Honduras. My name is Libby and this is my space to share all of the things I love. Our beautiful family, motherhood, raising three boys and a baby girl, my faith and whatever else comes to mind. I guess you could say that this is our family story. A story of life and love. A life blessed with some tears, mostly laughter and an abundance of grace. Copyright 2008 - 2013. Blessings and Glory. All Rights Reserved.